Kojima Productions is using the same engine as Horizon Zero Dawn to make Death Stranding. Guerrilla Games’ new Decima Engine is apparently a perfect fit for the designer’s intense attention to detail. Kojima revealed the news during a panel discussion of the upcoming game at PSX. He was joined on stage by Mark Cerny and Managing Director for Guerrilla Games, Hermen Hulst, to talk about the partnership and how it came to be. 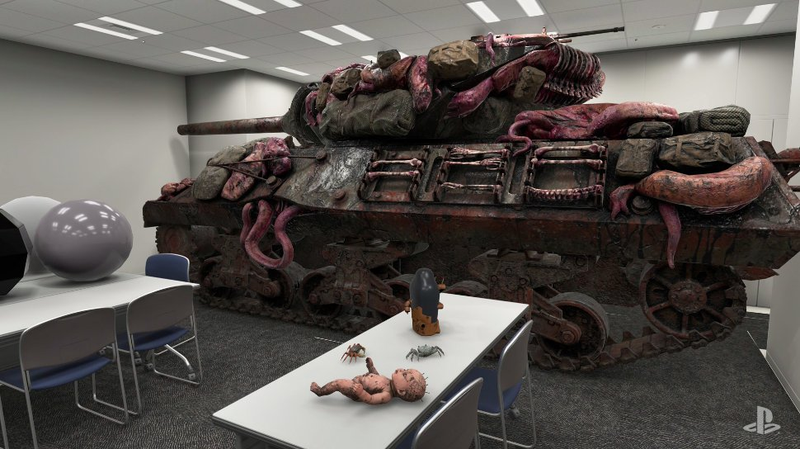 According to Cerny, it only took him and Kojima a couple weeks of scouring the world for the perfect tools to make Death Stranding before settling on those on offer at Guerrilla Games. “It has to be technology and people, they cannot be separate. From the first moment I met Guerrilla I had a good feeling about this,” said Kojima. He also said the Decima Engine was “very appropriate to working on open worlds.” Apparently, the creators of Killzone and now Horizon Zero Dawn even entrusted Kojima with a copy of the engine’s source code before any paperwork was signed. Among other things, Kojima discussed how the engine was being used to get the lighting for the scenes from the most recent trailer just right. A “glass room” was created that replicated a meeting room from one of the studio’s existing office where assets from the game could be placed and scrutinized for how realistic they looked. The results are more unsettling than anything we’ve yet seen in the game itself. Somehow, the only thing creepier than a strange man walking around with a baby in a test tube is sticking that same man, holding that same test tube baby, inside of the most mundane, windowless conference room.